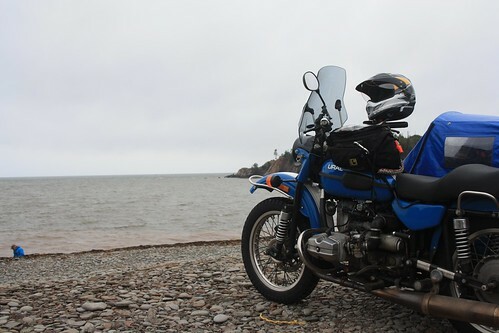 On August 24, 2013, we grabbed the Ural, and Dachary’s F650, and headed toward Nova Scotia for a nice little mini trip. Last year’s trip to Colorado had shown us that we didn’t want to cover quite so much ground on such a tight timeframe, leaving us basically no downtime, so we decided on a shorter trip to just relax and enjoy. We didn’t count on the rain. Oh, so much rain. 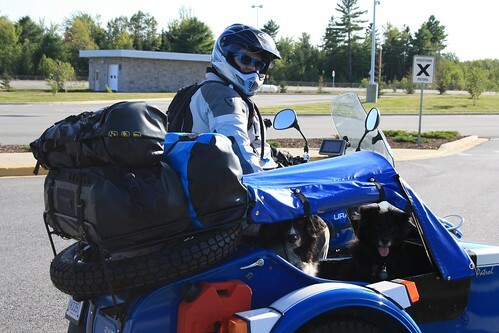 But there was much dogs in sidecar. And a lot of mud. And a surprise motorcycle rally. 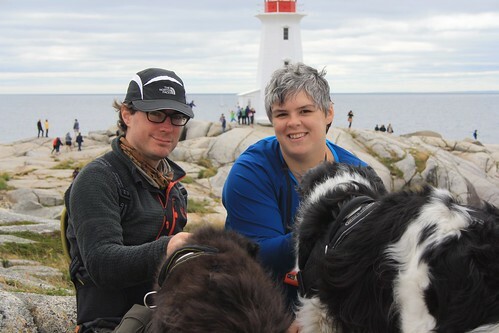 And beautiful scenery.